The Orthopedic and Surgical Institute at Northern Nevada Medical Center provides comprehensive surgical and rehabilitative services for patients who have a total knee, hip or shoulder replacement. The Joint Center of Excellence at Northern Nevada Medical Center is the first program in Northern Nevada to earn The Joint Commission’s Gold Seal of Approval™ in Orthopedics: Knee Replacement and Orthopedics: Hip Replacement. These certifications recognize NNMC’s commitment to providing the highest level of care for its knee replacement and hip replacement patients. 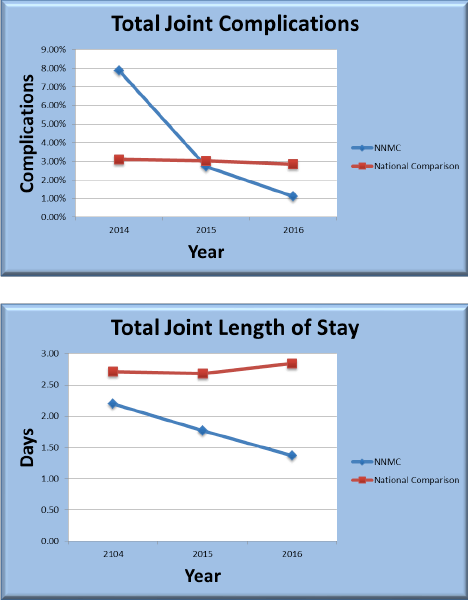 We are proud to highlight our patient outcomes, which are significantly better than national averages for complications and length of stay. A total hip replacement is a surgical procedure in which the diseased or damaged cartilage and bone of the hip joint is surgically replaced with artificial materials. Total hip replacements are most commonly performed because of progressively severe arthritis, the most common of which is degenerative arthritis (osteoarthritis) of the hip joint. This type of arthritis generally occurs because of aging, a congenital abnormality of the hip joint or prior trauma to the hip joint. Other conditions that can lead to total hip replacement include bony fractures of the hip joint and necrosis (death) of the hip bone. Necrosis can be caused by a fracture of the hip, drugs (such as alcohol or corticosteroids), diseases (such as systemic lupus erythematosus) or kidney transplantation. 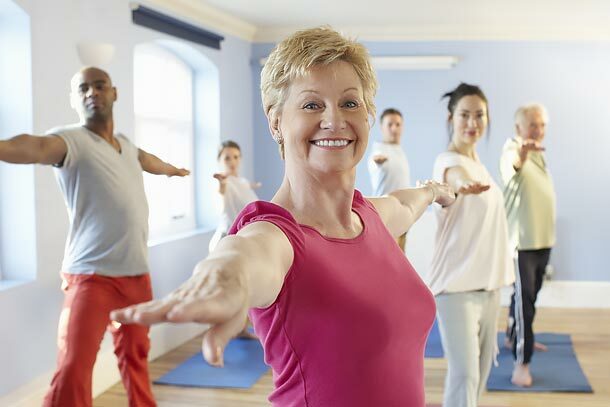 Progressively intense chronic pain, together with impairment of daily functions that include walking, climbing stairs and rising from a sitting position, may eventually become reasons to consider a total hip replacement. Because replaced hip joints can fail with time, the decision of whether and when to perform total hip replacement is not easy to make, especially in younger patients. Replacement generally is considered only after pain becomes so severe that it impedes normal function despite use of anti-inflammatory medications. A total hip joint replacement is an elective procedure, which means that it is an option selected among other alternatives. Total knee replacement generally is done when a person has a severe degenerative joint disorder, such as osteoarthritis, in which the articular, or moving, surfaces of the knee deteriorate. That leads to severe pain, limitation or loss of function and/or deformity of the joint. Surgery may also be performed to replace a badly fractured knee, or when previous joint replacements have failed. Bilateral replacement means that both knees are replaced at the same time.